27/12/18 – Great to see off the year with Lewis Capaldi on a European run! 26/10/18 – A great 2018 so far! Had the pleasure of more shows with the delightful Catherine McGrath working as her Drummer & Musical Director on her headline/support tours/festivals/TV promoting her debut album Talk Of This Town, working with Megan McKenna as her Musical Director for her summer festivals and with the legendary man himself Danny Jones on his solo material! 21/12/17 – Merry Christmas if you happen to be reading this and it actually still is Christmas! Been a very fun 2017, more shows with Tom Odell in Pt.I and some touring with the wicked Catherine McGrath in Pt.II. Looking forward to seeing what next year brings! 06/12/16 – A great couple of months out with Tom Odell and Co on the No Bad Days Tour, US, UK & EU all done, 41 shows, a bit of TV and we even had Kevin Spacey dancing on top of a piano at some point. Don’t ask. Merry Christmas and here’s to 2017! 09/08/16 – A busy few months this Summer with Tom Odell doing the festival run and a bit of UK/US TV along the way.. A few pictures below from Glastonbury, Radio 1’s Big Weekend, T in the Park, The Late Show with Jimmy Fallon, The Today Show New York and Mares Vivas festival in Portugal! 10/04/16 – Busy couple of months with production rehearsals for Tom Odell, a few jaunts out with Coves for the new album, a house move and a couple of shows with Charlotte Church all in the bag! Bring on Summer!.. 24/01/16 – Great couple of weeks rehearsals with Tom Odell! 11/10/15 – One from Manchester Academy with Charlotte Church! 31/08/15 – Good being back with Adam Lambert again yesterday for Fusion Festival in Birmingham! 24/08/15 – Great fun @ The Roundhouse on Thursday night with Charlotte and gang! 25/05/15 – A great few weeks out with The Hearts on their first ever UK headline tour! …First few of the festival stops done too with Great Escape and Radio 1’s Big Weekend in Norwich to end a great month with the lads. 13/03/15 – Bristol, Birmingham, Leeds, Glasgow, Manchester, Nottingham, Brighton and London all done with the lovely Coves lot! 17/12/14 – Great working on the show this year… congratulations to Ben! 07/12/14 – A game of ‘spot the elbow’ but this was fun! 11/10/14 – Getting my groove on with Jack Walton on week 1 of the Live Shows!.. You can also read an insightful interview by the brilliant brass and sax wonder Gavin Fitzjohn! 13/03/14 – Check out the video for Eemia’s ‘Shy’ which I played on and recorded at my remote studio ‘Ladyhill’ last year. Currently featured on the VEVO homepage!.. 02/03/14 – A busy couple of weeks rehearsing with Charlotte Church for two shows coming up this week, catch ‘Entanglement’ in London on Wednesday 5th & Cardiff Friday 7th! If you can’t make it, the full show will also be aired on BBC 2 in the near future! 07/01/14 – So it’s January 2014 and I realised I haven’t updated this for a few months! After a great summer of gigs, festivals and touring I spent the tail end of 2013 mostly in the studio doing various bits. Along with some dotted gigs the last two months have been spent recording tracks for Charlotte Church, Sion Russell Jones and Eemia on new material all out this year. A new year also brings a new move for me and as from Saturday 11th I’ll officially be a London resident! So happy new year governor and here’s to it! 26/08/13 – Great day yesterday playing @ Victorious Festival! 17/08/13 – I’ll be playing with the amazing Charlotte Church on her upcoming UK tour. Dates and tickets at the link below! 09/07/13 – In the studio doing two tunes for the ridiculously talented Ruby Parfitt today. Summer vibes are high!! 22/05/13 – I went up to ‘Nick Hopkin Drums’ place recently to demo some beautiful vintage kits for him, here’s the video! 06/05/13 – What a great day playing with The Boy Royals at the CCFC promotion gig yesterday! what sundays are all about! 21/04/13 – Nice day in the studio today, 4 tracks down and a gig with Ruby J tonight! 05/03/13 – Doing a session at Acapella Studios today for singer/songwriter Matthew Wilson! last gig of the year! 15/12/12 – Lots of new Plugins for the studio to play with over the christmas period! 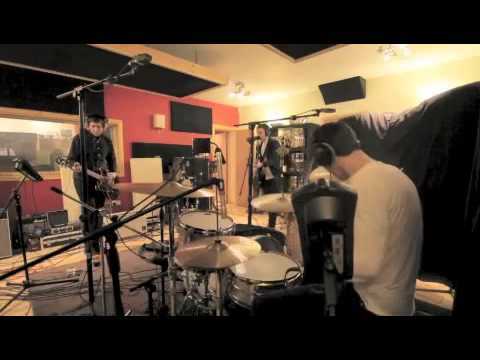 02/12/12 – A clip of me tracking from a Monnow Valley session back in September, again playing the lovely 71′ prem! 30/11/12 – Been a great month and enjoyed playing some top gigs! 20/11/12 – Opening for the awesome Feeder tonight @ Portsmouth Guildhall, beautiful room. 04/10/12 – Very pleased to say I’m now officially part of the amazing Protection Racket family! 24/09/12 – In the pit at the Dolman this week for a run of shows! 23/09/12 – Finishing off a few things at the studio this morning then straight to a rehearsal @ the Dolman for a few shows this week! 20/09/12 – In Monnow Valley studio for a few days working on some wicked songs with the boy royals, got the 71′ set up and sounding all nice and also a nice visit from Nick Hopkin bringing down some lovely vintage snares! 22/08/12 – Here’s a video of me from the recording of The Boy Royals single ‘People Like Us’, Recorded at Longwave Studios, produced by Romesh Dodangoda..
a pic from the feeder show! on location filming a music video! Last nights gig for the BBC introducing christmas show will be aired on Jen Longs show on the 18th Dec on Radio 1, tune in! 05/12/11 – Great playing Cardiff City Stadium today! 20/11/11 – Recording some drums for that lovely chap Gavin Kaufman today! 21/10/11 – Newcastle Uni with TOWN tonight. 06/09/11 – Will be out on the road with TOWN as support to Hard-Fi on they’re ‘Killer Sounds’ UK tour. Sound checking in Bournemouth on the LostProphets tour! 16/08/11 – TOWN soundcheck, looking forward to the show tonight! DRUM maintenance FOR A FEW SHOWS! 14/08/11 – Doing a spot of drum maintenance today for a few shows coming up this week!